Summertime is grilling season around here, and this is one of the best grilling recipes we've ever come across! 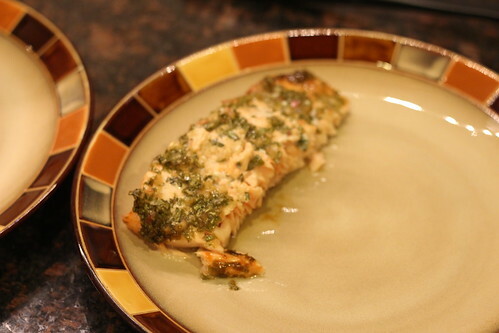 The salmon is so flavorful and just perfect for a light, summer meal. 1. Cover a cookie sheet or large pan with two layers of foil. Lay the salmon fillet, skin side down, on the foil. 2. 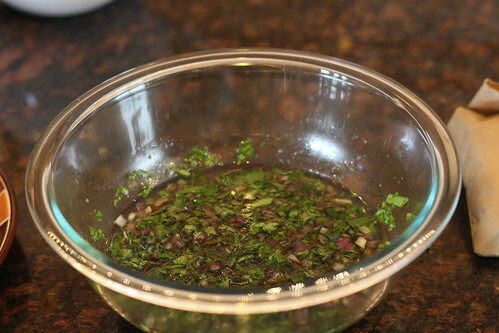 In a small bowl, mix together oil, soy sauce, Worcestershire sauce, lemon juice, ginger, honey, basil, and shallots. Pour mixture over the salmon. 3. 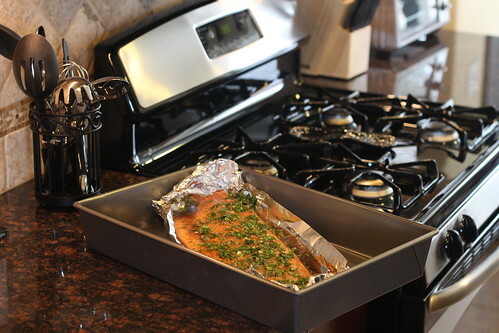 Preheat a grill for medium-low heat while the salmon marinates. 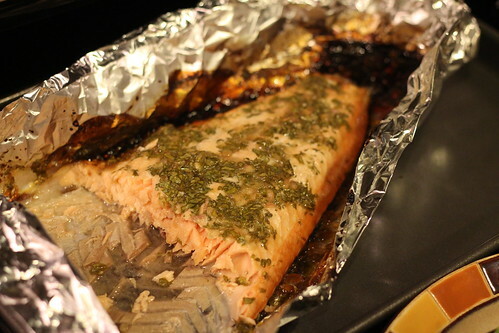 When the grill is ready, slide the foil with the salmon onto the grill. Grill fillet for about 20 minutes, or until salmon flakes with a fork. 4. 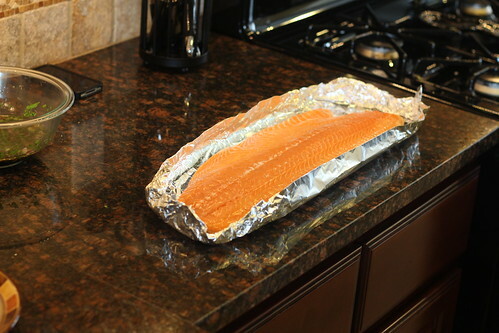 When serving the salmon, use a spatula to separate the salmon from the skin (which will stick to the foil). This looks so so good! I love Salmon so this is getting saved for later!